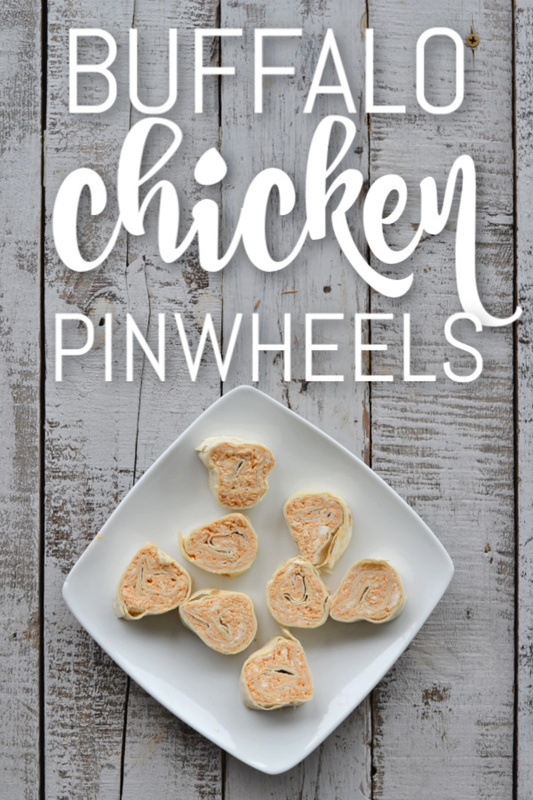 This super easy buffalo chicken pinwheel recipe is great for parties or just a regular snack. You probably have the ingredients in your kitchen right now. I have 2 boys, 11 and 13 and they love anything buffalo. Buffalo chicken wings are one of their favorite meals. Let’s say that Friday night dinners are pretty easy around here. Since everyone in my house loves buffalo sauce, I’ve been trying to make more things with it. 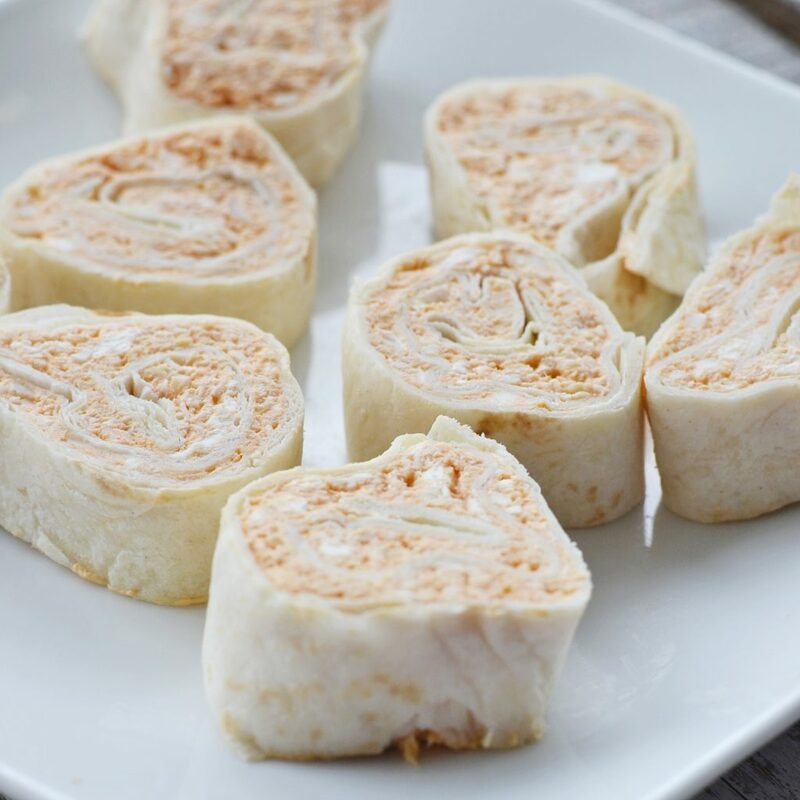 This buffalo chicken pinwheel recipe is so easy and has turned out to be a family favorite. I have put these in lunchboxes for school and LOVE these for an after school snack. After school my kids are starving and we often make frozen pizza for them to snack on. This recipe is great because it has flavors they like, plus protein to get them through their sports practices and keeps them full until dinner. When I grocery shop I make a menu, but usually have a few days that I’m open to change. I don’t have time to research the sales flyers so when I get to the meat area I like to see what’s on sale and adjust from there. I was at my local Food Lion. I have one equal distance from me when you turn out of my neighborhood both directions. They had a big sale on chicken breasts. I normally don’t buy chicken breast and stick with chicken thighs, but this was an even better deal. My kids say chicken breast is dry so I have a few recipes to make with chicken breasts. I typically cook a bunch of chicken at the same time, shred it and keep it in the freezer. This is a nice shortcut for recipes when you don’t have much time. Here’s how I shred chicken. It’s seriously the easiest way EVER! Once you have your chicken shredded you can make tons of recipes. Here are some that use shredded chicken. Ok, on to the recipe you came here for. These are seriously the best!! Mix shredded chicken, buffalo sauce, and all cheeses together. Lay out 4 tortillas and split chicken mixture evenly between them. Spread out mixture. Wrap tortillas in plastic wrap and put in refrigerator for 1 hour. After an hour, take plastic wrap off and slice tortillas into 1 inch pieces. 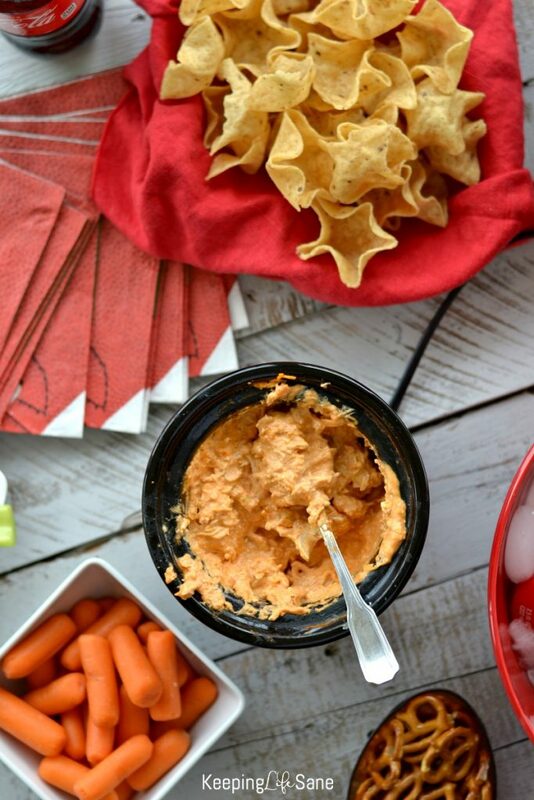 Make sure to checkout my buffalo chicken dip! I used my mini crockpot for it!